President of world football –governing body,FIFA, Mr. Gianni Infantino and the Secretary General, Ms Fatma Samoura will arrive Nigeria July 24 on a two –day working visit. 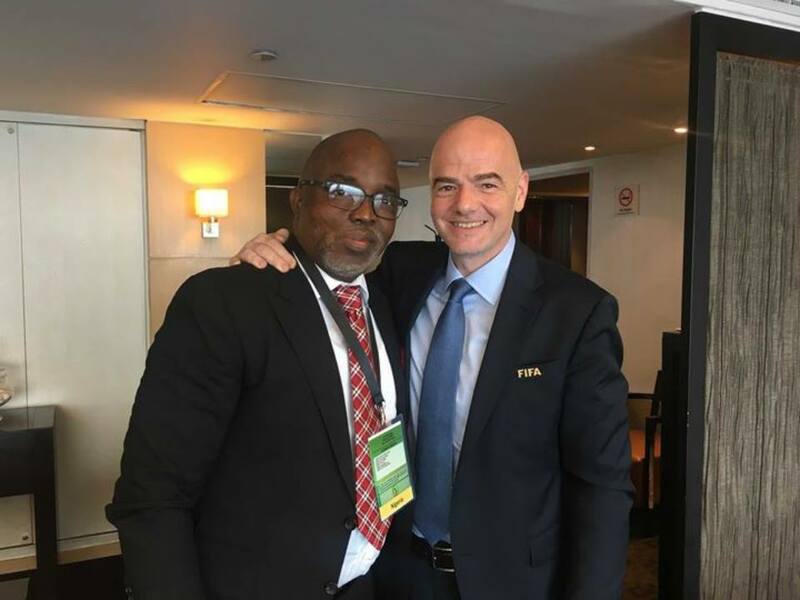 The Italian-Swiss, who was elected FIFA President at an extraordinary general assembly in Zurich on 26th February 2016, confirmed the trip following a meeting with NFF President Amaju Pinnick in Paris, France on Sunday. “The FIFA President and Secretary General will arrive in the Federal Capital Territory, Abuja on Sunday, 24th July on a two –day working visit to Nigeria,” Pinnick toldthenff.com. During the two –day visit, Infantino and Samoura will pay a courtesy call on His Excellency, President Muhammadu Buhari (GCFR) at the Aso Rock Presidential Villa, hold meeting with a legion of African FA presidents who are expected in Nigeria to join the NFF to receive the FIFA topshots and attend an evening session with Corporate Nigeria in Lagos. A welcome dinner put together by the League Management Company and also attended by members of the diplomatic corps is on the cards. At the one –hour meeting involving Infantino, Samoura and Pinnick on Sunday, Nigeria’s Minister of Sports, Barrister Solomon Dalung spoke with the FIFA boss and expressed Nigeria’s readiness to welcome the FIFA team. Fatma Samba Diouf Samoura, 54, was appointed FIFA Secretary General at the 66th FIFA Congress in Mexico City on 12thMay. The Senegalese, who has wide experience working with the United Nations in several countries, is the first –ever woman to hold the position in FIFA’s 112 –year history. A few days after her appointment, Samoura welcomed Pinnick and NFF 2nd Vice President/LMC chairman, Shehu Dikko, to a breakfast meeting at her UN office in Abuja.